Struggling to understand the refugee crises overwhelming our world (and news feeds)? Feeling drained and in need of hope? Preparing to make a big life change? Looking for an exciting and poignant novel? It's all here! So pour a cold drink, spray on some sunscreen, and settle in with one of these powerful, life changing reads. Jesus’ message is more than a ticket to heaven or a formula for personal prosperity. It is an invitation to personal and global transformation. In Everything Must Change, the reader accompanies Brian around the world, experiencing intrigue, alarm, challenge, insight, and hope. Brian's fresh and provocative vision of Jesus reveals how his core message can infuse us with purpose and passion to address the economic, environmental, military, political, and social dysfunctions that have overtaken our world. The good news about injustice is that God is against it! God is in the business of using the unlikely to accomplish justice and mercy. In this challenging and encouraging book, Gary Haugen offers stories of courageous Christians who have stood up for justice in the face of human trafficking, forced prostitution, racial and religious persecution, and torture. Throughout, he provides concrete guidance on how ordinary Christians can rise up to seek justice throughout the world. Listen to a TED Talk by Gary here! Many of us are part of global networks connected with people scattered around the world. We know how coming from different cultures can cause the funniest - and worst - miscommunications. But even those who are culturally informed, travel extensively, and have lived abroad often struggle to know how to handle cross-cultural complexity. Erin Meyer offers a field-tested model for decoding how cultural differences impact international business specifically, but her methods and insights are helpful for every “global citizen”, regardless of your career. Lia's parents and her doctors both wanted what was best for Lia, but a series of cross-cultural miscommunications and a general lack of understanding between them led to tragedy. The Spirit Catches You and You Fall Down explores the clash between a small county hospital in California and a refugee family from Laos over the care of Lia Lee, a Hmong child diagnosed with severe epilepsy. Anne Fadiman's compassionate account of this cultural impasse is literary journalism at its finest. A powerful, tender story of race and identity, Americanah challenges assumptions we often make about “the other”. Ifemelu and Obinze are young and in love when they depart military-ruled Nigeria for the West. Ifemelu heads for America, where despite her academic success, she is forced to grapple with what it means to be black for the first time. With post-9/11 America closed to Obinze, he plunges into a dangerous, undocumented life in London. Will they ever reunite and return to their homeland? FH communities around the world are focused on rehabilitating farmland by practicing eco-friendly agricultural techniques (called Farming God’s Way) that will grow a better tomorrow. In Planted, Leah Kostamo invites Canadians to also embrace new and creative ways to honour the Creator as they care for creation. You are invited to travel with Leah Kostamo on the wild ride of salmon saving, stranger welcoming, and God worshiping as she shares how she and her husband helped establish the first Christian environmental centre in Canada. Leah wrestles with issues of poverty, justice, and the environment through the narrative of her own life experience. Want to know what it’s really like to be a farmer growing your own food? Why not start with a simple backyard garden? This reference demystifies gardening, bringing it back to the down-to-earth, environmentally practical activity that anyone can enjoy. Learn how to plan your garden and prepare soil; make organic fertilizers and simplified composting; sow and grow healthy seedlings; transplant successfully; water and mulch efficiently; weed easily; and implement organic pest management. 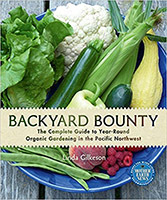 This book emphasizes low-maintenance methods and includes a monthly garden schedule for year-round planting and harvesting on the west coast. Perfect for novice and experienced gardeners alike. We all remember the gut-wrenching images of Syrian toddler Alan Kurdi whose lifeless body washed up on the shores of the Mediterranean in September 2015. Cast Away offers insight into the complex realities behind such a tragedy through the stories of five people who took to the sea to escape unbearable situations. 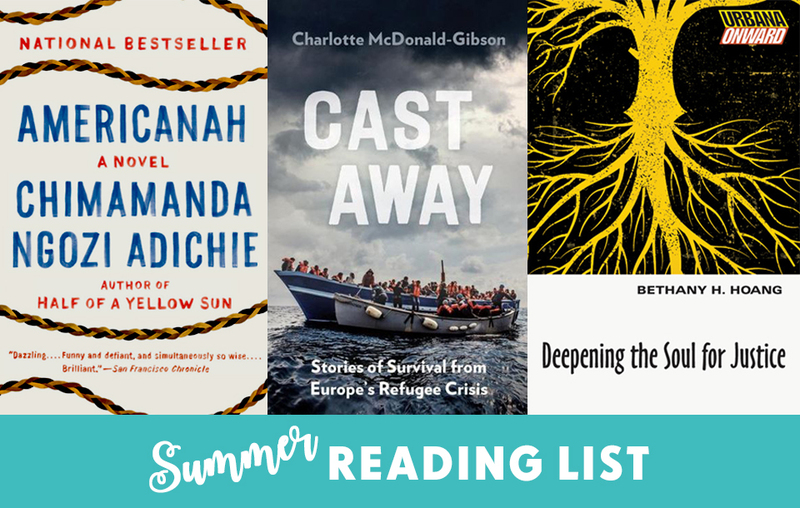 Charlotte McDonald-Gibson has spent years reporting on every aspect of Europe's refugee crisis, and Cast Away brings to life the human consequences of the most urgent issue of our time. In a country teetering on the brink of civil war, two young people meet and embark on a furtive love affair. But when their city explodes, turning familiar streets into a patchwork of checkpoints and bomb blasts, they leave their homeland and their old lives behind. Exit West follows these fictional characters as they emerge into an alien and uncertain future, struggling to hold on to each other, to their past, to the very sense of who they are. Profoundly intimate and powerfully inventive, it tells an unforgettable story of love, loyalty, and courage. Read the Globe and Mail review here! What Is the What is an epic novel based on the real life of Valentino Achak Deng who, along with thousands of other children—the so-called Lost Boys—was forced to leave his village in Sudan at the age of seven and trek hundreds of miles by foot, pursued by militias, government bombers, and wild animals, crossing the deserts of three countries to find freedom. When he finally is resettled in the United States, he finds a life full of promise, but also heartache and new challenges. What Is the What is an astonishing novel that illuminates the lives of millions through one extraordinary man. For days, Doaa floats, prays, and sings to the babies in her arms. She must stay alive for these children. She must not lose hope. Doaa Al Zamel was once an average Syrian girl growing up in a crowded house in a bustling city. But in 2011, her life was upended by the Syrian civil war. A Hope More Powerful Than the Sea is an emotionally charged, eye-opening true story that represents the millions of unheard voices of refugees who risk everything in a desperate search for the promise of a safe future. Robert D. Kaplan is a leading international journalist, someone who can explain the most complicated and volatile regions and show why they’re relevant to our world. Reporting from Sudan, Ethiopia, Somalia, and Eritrea, Kaplan examines the factors behind the famine that ravaged the region in the 1980s, exploring the ethnic, religious, and class conflicts that are crucial for understanding the region today. You're not alone on the road of change! Whether you’re between careers, stuck in a rut, worried about the future, or just need to do some personal soul housekeeping, Changing Course will help you gain insight, courage, and even a few laughs as you weather your bumpy road. You'll find help with: navigating change, figuring out how personality shapes career choices, managing conflict with colleagues and family, keeping healthy boundaries, and working with teams toward common goals. The challenges of global injustice can be overwhelming. The pain is real; the violence dark. Many well-intentioned Christians get burned out. But seeking the God of justice doesn’t have to run you dry; it can be a catalyst for spiritual growth and deeper personal discipleship. Bethany Hoang, former director of the International Justice Mission's Institute for Biblical Justice, has seen firsthand how spiritual formation can fuel our response to God's call to justice. Hoang shares spiritual practices honed on the front lines of the fight for justice. Discover spiritual disciplines for the justice-seeker and renew and invigorate your own personal justice journey. In a world increasingly upended by crises and chaos, it's becoming increasingly imperative to have a real reason to hope. In Surprised by Hope, Tom Wright tackles the biblical question of what happens after we die and shows how most Christians are getting it wrong, and how getting it right can totally transform the way we live today.